To commemorate the 150th anniversary of Signe Brander, a new 2.0 version has been created of the Time Machine virtual experience. The new Time Machine brings Signe Brander’s photographs to life with the help of VR technology to create an immersive and interactive spatial installation that takes visitors on a journey through Helsinki’s past. Time Machine 2.0 will whisk visitors away to early 20th-century Helsinki, where wooden houses are making way for a new city of stone castles. The new city is a mix of national romanticism, Art Nouveau and Nordic classicism – old traditions and new winds. During Brander’s lifetime, Helsinki was for the first time visible from new vantage points, such as the National Museum’s tower. In addition to the bird’s-eye view, Brander also photographed panoramas at street level, capturing everyday details of urban life. Time Machine 2.0 shows projections based on Brander’s panorama photos of Kallio Church and St Nicholas’ Church (now Helsinki Cathedral). The VR content of Time Machine 2.0 is based on Brander’s photos of the public sauna on Mariankatu and the old Helsinki Railway Station. Born on 15 April 1869, Brander photographed Helsinki and life in Helsinki at the beginning of the previous century, when she was hired by the Helsinki City Board of Antiquities to record the rapidly changing city. The 907 glass negatives produced by Brander between 1907 and 1913 are the basis of the City Museum’s collections. Time Machine 2.0 was developed in collaboration with Teatime Research Oy as part of Demos Helsinki and Finnish Virtual Reality Association’s Virtual Reality Hubs project. Time Machine 2.0 was partially funded with the Finnish Heritage Agency’s grants for innovative projects by professional museums. Signe’s birthday and the opening of Time Machine 2.0 will be celebrated with cake and activities for the whole family on Sunday 14 April, 12 noon–4pm. In addition to Signe’s photos, the programme will feature music, lectures and children’s theatre, among other things. At the birthday event, visitors will, for the first time, have the chance to participate in new walking tours called In the Footsteps of Signe Brander, which will be launched this spring. The event will also feature a showcase of original Neiti Brander comics by comic artist Timo Mäkelä, and Mäkelä himself will be attending the event to talk about his comic. 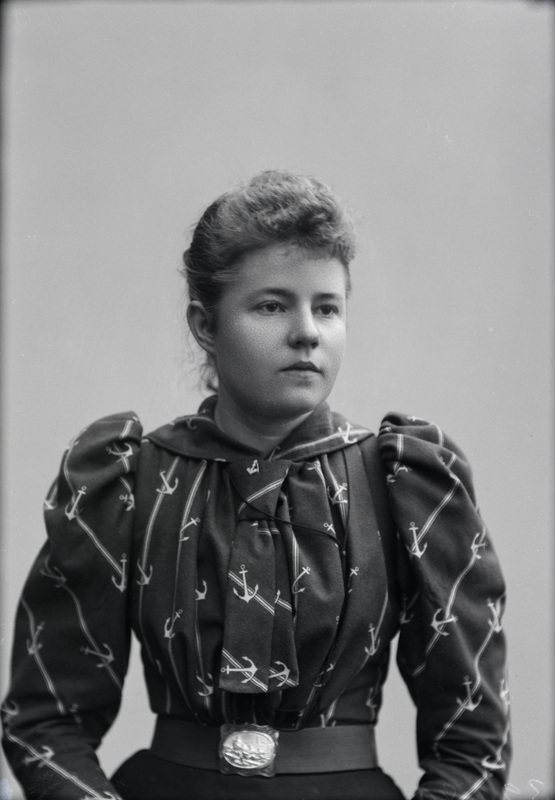 Signe Brander (1869–1942) was the first professional museum photographer in Finland. Established in 1906, the purpose of the Antiquities Board of Helsinki was to produce a collection of documents about the disappearing face of Helsinki. In a bold and forward-thinking move, the board selected the modern camera as the tool and hired a woman for the job – namely, Miss Signe Brander. In addition to the gradually vanishing cityscapes, the board urged her to capture anything of interest from street views to urban life. Indeed, the most typical of Signe’s photos are pictures of streets, which captured random passers-by and the daily activities of city residents. The Antiquities Board carefully oversaw the creation of the 907-photo collection by providing specific instructions for taking the pictures and by only claiming select shots. In admiring the pictures, however, one cannot overlook Signe’s own relationship with Helsinki and its residents and her views on composition, perspective and other principles of creating a visual narrative. Signe Brander called herself a photographer of cultural history – a title that she well deserves thanks to her expertly-shot portraits, landscapes, cityscapes and candid photos of people.